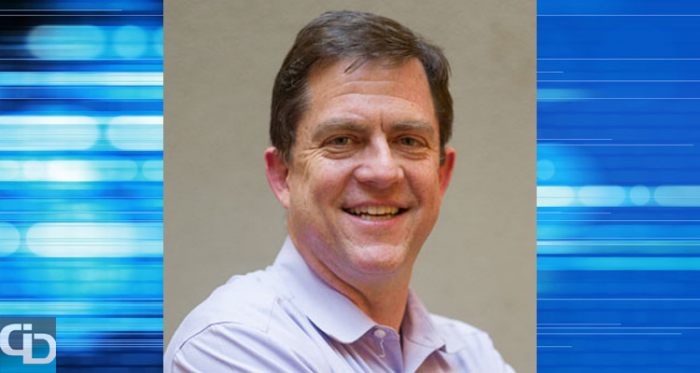 Mike Maciag is a growth-stage technology company leader with expertise in Cloud, Big Data, DevOps and Enterprise Software. He has founded, built and funded tech companies for his entire career and is currently the Chief Operating Officer at Altiscale, an organization that offers the first cloud service that is purpose-built to run Apache Hadoop and Spark in a secure cloud. icrunchdata speaks to technology innovators to discuss their careers in tech, what they are currently working on and what their interests are outside the office. We recently caught up with Mike to discuss his current responsibilities at Altiscale, his experience in the venture capital space and more. You were appointed as the Chief Operating Officer at Altiscale, a Big Data-as-a-Service organization, one year ago. What has been the biggest change within the organization since you started with the company last fall? It has been an exciting year as Altiscale has gotten much more aggressive about leaning into the growing big data market. We have invested heavily in building out the sales, marketing and customer success team at exactly the time when the market is maturing across two important dimensions. First, customers are recognizing the benefits of running big data in the cloud with regard to performance, reliability and most importantly, the ease factor, allowing them to focus more on results than taming the Hadoop and Spark zoo. Second, one of the changes that I’ve been most pleased to see is that Altiscale is increasingly serving large enterprise customers in established industries, like financial services. Big Data is often thought of as the challenge and opportunity for internet-based businesses, and we certainly serve many of those, like online gaming companies and AdTech companies. However, over the past year, more and more enterprises from traditional industries are trusting Altiscale to serve as their Big Data platform. Altiscale now meets the security certification and compliance requirements of financial services and healthcare companies, and we have been able to demonstrate that our solution is a faster, more effective route to being successful with Big Data than trying to run it on premises yourself. What are your top 3 daily responsibilities as the COO? As COO, I am responsible for the business side of the company at Altiscale. The first among my responsibilities is making sure that customers are successful and wildly happy with the service as it is the core of what we do. Our extremely high customer renewal and growth rates point to the fact that the team is doing a great job here. The second and third responsibilities revolve around making sure the company is known in the market and we acquire new customers. Is there one thing that you wished you would have done differently since becoming the COO? I think that we could have invested more heavily in the go-to-market functions earlier on. As people recognize how much better their life is by having Altiscale handle their Big Data, it is a no-brainer for them to work with us. As a result, our sales and marketing teams are proving to be super productive. What is on the horizon for the next 12 months at Altiscale? Altiscale is poised to see tremendous growth. Over the next 12 months, you will see a lot of enterprise customer announcements from us, as well as see our platform continue to be cutting-edge and production-ready, providing the broadest and best platform for companies to run all of their data analytics. Today, we’re one of the few companies that can offer robust Spark-as-a-Service, ensuring that any application that a customer has built for any of the three most recent versions of Spark can run on Altiscale. We also recently announced HAWQ on Altiscale, so that companies can have a leading MPP engine fully integrated to their Big Data platform. In the near future, we’ll also be seeing strategic partnerships with innovative companies that will help our customers get the greatest value from their data. In June 2004, you were the President and CEO of Electric Cloud and grew the company from $0 in revenue to $20 million and 120 employees. Was there one defining moment that was the tipping point for the organization? It is rare that you can point to one defining tipping point, but finding product-market fit is almost always at the center of driving a young company’s success. In the Electric Cloud case, it was discovering and then investing in the embedded software market where the company’s products were not only a nice-to-have, but an essential part of enabling companies to get better products to market faster and compete. You’ve been on both sides of the table from raising venture capital for your companies to being an Executive in Residence at U.S. Venture Partners. What is the #1 mistake that founders make when they are seeking venture capital and talking to potential investors? I think the biggest mistake is trying to be too clever. There are a lot of very smart people in the Valley with clever technologies and/or clever business models, but these alone do not make a great company or lead to successful fundraising. When technologies or business models deliver real value to a specific set of customers, great companies are made and successful fundraising occurs. In short, I would advise founders to spend more time on how their approach will cause customers to recognize the value provided and flock to them because of it. You went to Santa Clara University and it looks like you’ve spent most, if not all, of your career living in the San Francisco area. What do you like most about living there? The intersection of great career opportunities with great weather and lots of outdoor activities. You have been in technology and software your entire career. If tomorrow you had to choose a career completely unrelated to tech, what would you choose to do? I follow politics the way a baseball nut memorizes box scores. I think doing something in that arena would be a blast. As much as I can, I spend time with my family. I have two teenagers who keep me busy when I’m outside the office. In terms of hobbies, I mountain bike, ski and take part in other “stunts” that force me to stay active. I try to run a half marathon or two and complete the Alcatraz to San Francisco swim each year. Although that viral video of the great white attacking the seal by Alcatraz might cause me to re-think the latter idea. You graduated from Northwestern University with an MBA in 1991. If today you could go back and give yourself some advice on the day that you graduated, what would you tell him? You may not always be the smartest person in the room but you can always be the hardest working. Thank you for the words of wisdom, Mike, and for taking the time to speak with us today.